Admit it. This headline got your attention. It gets even better because the subject of this blog is money – the green stuff. I’m writing about this topic because I’ve recently been asked a couple of times by prospective patients: “How much will it cost me to participate in the study?” I was surprised that volunteers expected they would need to “pay to play.” So, let’s set the record straight. YOU SHOULD NEVER PAY ANYTHING TO BE INVOLVED IN A LEGITIMATE CLINICAL TRIAL. In fact, the reverse is true. There is often – but not always – a small stipend paid to study volunteers for each study visit. The stipends are modest by design and are intended to cover the volunteer’s expenses for trial participation (gas, parking, child care, etc.). Good clinical practice mandates that a stipend can’t be so large as to be coercive and potentially influence the patient volunteer’s decision to participate. So, this is our dirty little secret: Trial volunteers receive a monetary stipend for their participation in studies. In clinical research involving humans, we don’t like to talk about volunteer stipends too much because we don’t want to influence a volunteer’s decision to participate. Truthfully, most of our volunteers tell us they are not participating for financial gain but because they realize the study might benefit themselves and other patients down the road. 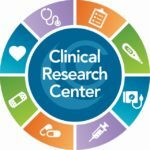 The Clinical Research Center is currently seeking volunteer patients in studies for recurrent yeast infections in women, Type 2 diabetes, and reducing cardiovascular risk in obese patients with existing heart disease. For the record, each of the volunteers who qualify for participation in these studies receives a modest stipend for each study visit! If you are interested in learning more about clinical trials, contact the Clinical Research Center at 541-766-2163, or send an email to research@corvallisclinic.com or fill out our Research Study Information Request form. And, don’t forget to follow us on Facebook at https://www.facebook.com/corvallisclinicresearch.